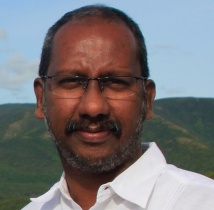 Professor Mannathukkaren’s main research interests are focused on left/communist movements, development and democracy, modernity, the politics of popular culture (esp., the politics of mass cultural forms like the media, cinema and sport), and Marxist and postcolonial theories. The thrust of his research has been to develop a theoretical and empirical critique of postcolonial theory and postmodern thought. At the same time, he has argued for a dialogue with postmodern-inspired frameworks of knowledge and to creatively integrate them to overcome the serious deficiencies of many modernist understandings of human social reality (which have translated into arrogant and teleological assumptions). He has attempted an interdisciplinary approach in his empirical research drawing upon resources from politics, development, sociology, cultural studies and social theory/philosophy. Culture and the place of meanings occupy an important part of his research; therefore, he is particularly interested in the way ‘traditional’ agrarian societies negotiate and make sense of the transition to modernity and capitalism. The geographical area of research is India. He teaches courses on development theory, popular culture and development, India, and the philosophy of social science. The ‘Rupture with Memory’: Derrida and the Specters that Haunt Marxism, Navayana, 2006. “The Politics of Secular Sectarianism,” Economic and Political Weekly, Vol. 49, No. 49, December 6, 2014, 16-19 (with Ajay Gudavarthy). “Nation, Class and Caste: The Culture of Servitude and the Case of the Indian Diplomat,” Dialectical Anthropology, 2014, Vol. 38, Issue 2, 105-112. “The Rise of the National-Popular and its Limits: Communism and the Cultural in Kerala,” Inter-Asia Cultural Studies, Vol. 14, 2013, Issue 4, 494-518. “Redistribution and Recognition: Land Reforms in Kerala and the Limits of Culturalism,” Journal of Peasant Studies, Vol. 38, Issue 2, 2011, 379-411. “Postcolonialism and Modernity: A Critical Realist Critique,” Journal of Critical Realism, Vol. 9, No. 3, 2010, 299-327. “The 'Poverty' of Political Society: Partha Chatterjee and the People's Plan Campaign in Kerala, India,” Third World Quarterly, Vol. 31, No. 2, 2010, 295-314. “‘Media Terror’: “Understanding Television and the Media in India in the Context of ‘26/11’,” South Asian History and Culture, Vol. 1, No. 3, 2010, 416-434. “Reading Cricket Fiction in the Times of Hindu Nationalism and Farmer Suicides: Fallacies of Textual Interpretation,” International Journal of the History of Sport, Vol. 24, No. 9 September 2007, 1200-1225 (published in Portuguese as “Criquete e nacionalismo Hindu na Índia,” Pensar a Pratica, v. 15, n. 1, 2012, 197-234; published in Subhas Ranjan Chakraborty, Shantanu Chakrabarti and Kingshuk Chaterjee, eds. The Politics of Sport in South Asia, London: Routledge 2009, 165-190). “Subalterns, Cricket and the Nation: The Silences of ‘Lagaan’,” Economic and Political Weekly, Vol. 36, No.49, Dec 8-14, 2001, 4580-88. “Three Days of Mumbai Terror and the Media Circus,” in Yoginder Sikand and Avinash Mishra, eds. Indian Mass Media: Prejudices Against Dalits and Muslims, New Delhi: Hope India, 2010, 189-194. “The Conjuncture of Late Socialism in Kerala: A Critique of the Narrative of Social Democracy,” in K. Ravi Raman, ed., Development, Democracy and the State: Critiquing Kerala Model of Development, London and New York: Routledge, 2010, 155-171. Vinay Gidwani, Capital, Interrupted: Agrarian Development and the Politics of Work in India, 2009, Journal of Peasant Studies, Vol. 36, No. 2, 2009, 464-466. Surinder Jodhka, ed., Communities and Identities: Contemporary Discourses on Culture and Politics in India, Contributions to Indian Sociology, Vol.37, No.3, Sep– Dec, 2003, 531-533.